Pictured following the recent installation of a Hologic Horizon A DXA system supplied by Vertec Scientific to Dorset County Hospital are (from left): Vertec DXA Product Specialist Bill Reid, Clinical Specialist in Rheumatology Jane Raleigh, DXA Reporting Radiographer Ailsa McKinlay, Chief Clinical Technologist, Medical Physics, Kate Rowe and Capital and Maintenance Senior Buyer Joanne Maskell. The Horizon A is the most advanced of Hologic’s DXA systems with 216 detectors and features a full range of clinical applications such as high definition vertebral fracture assessment, atypical fracture assessment, advanced body composition with visceral fat assessment. The new Horizon A replaces a Hologic Discovery, first installed in 2007, which was extensively used in the hospital’s Rheumatology department offering bone densitometry and fracture prevention services to the community of around 250,000 people. 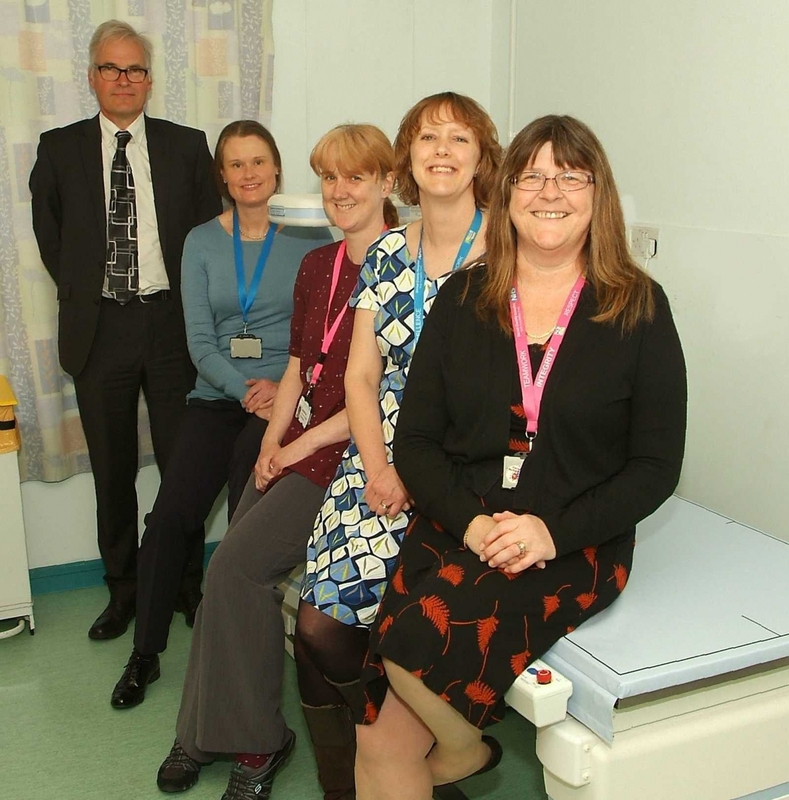 Of this new acquisition, Jane Raleigh comments, “We are absolutely delighted with the new scanner and the additional functionality will help us in terms of our clinical decision making”.